Chain & Drives supply chain tensioner and idler assemblies. 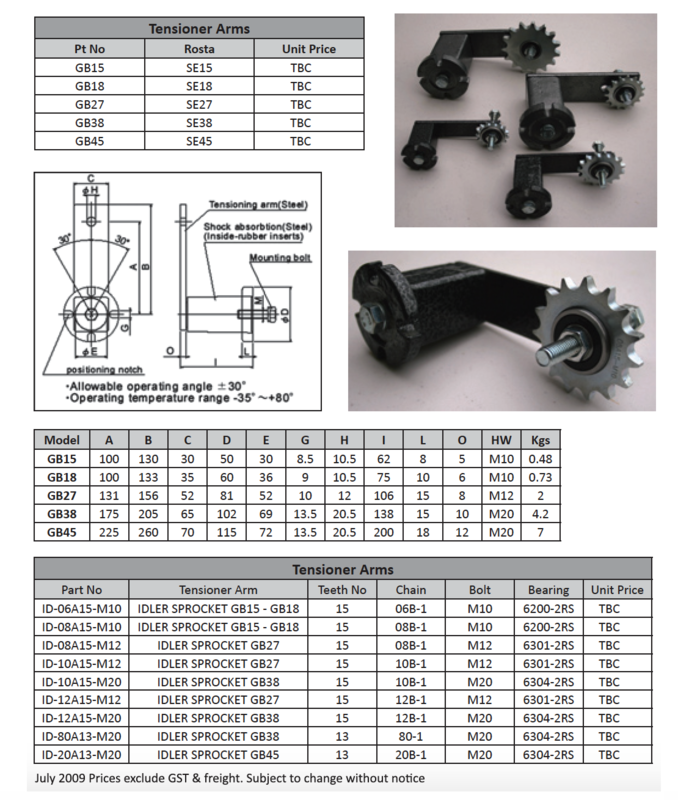 We stock idler sprockets and idler rollers to suit our tensioners and all chain & pulley drive applications. We also supply the snap idle maintenance-free chain tensioners. We can also offer alternate tensioning system requirements. Our tensioners are interchangable with Roster and Resetec. Interchangeable with existing leading brands. 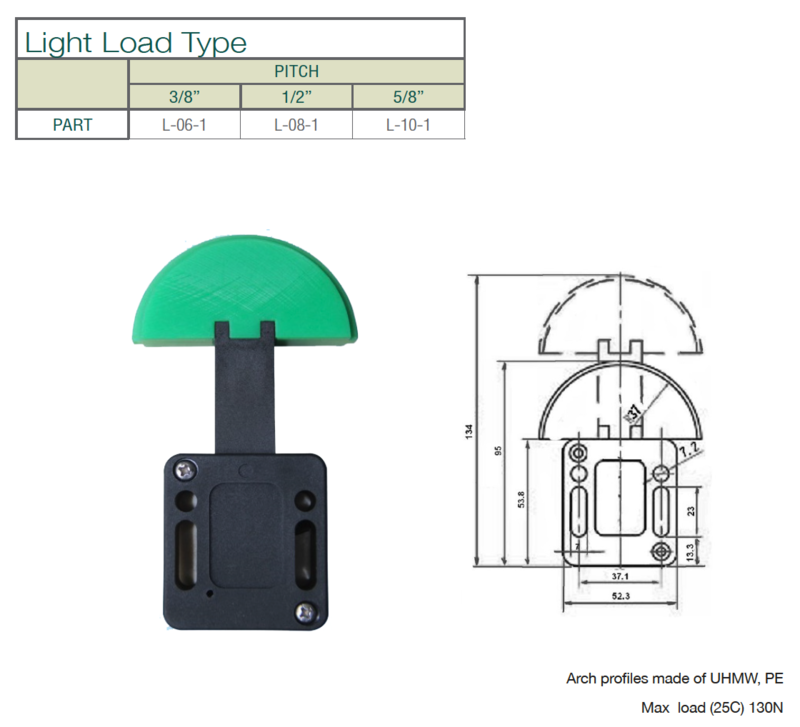 Can be mounted in any position to provide tension to drives in almost any application. Virtually maintenance free in most applications. Mounted via single bolt into the body of the main tensioner arm. 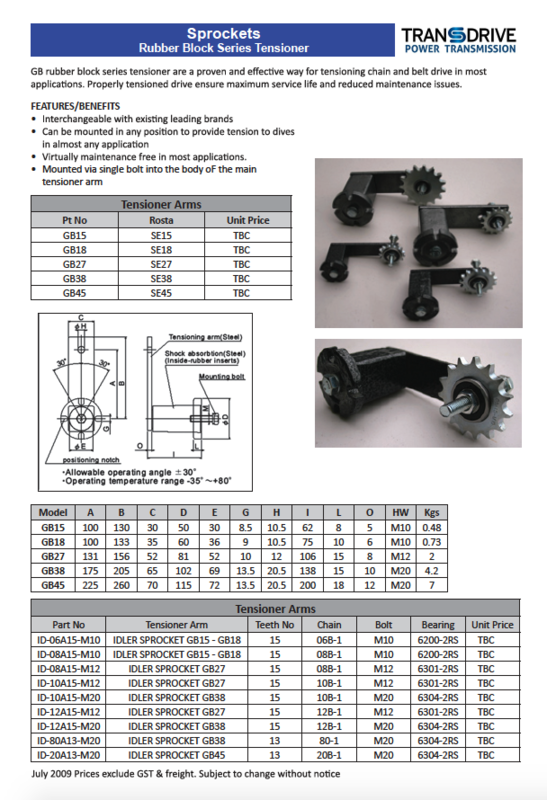 Chain and drives also stock Spring Box Chain Tensioners. 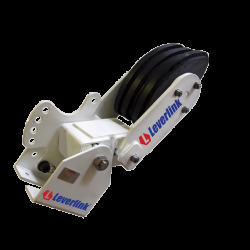 Chain & Drives supply Leverlink's Stored Energy Chain Tensioners available for customisation to suit any requirements. Chain & Drives was established to become the leader in Power Transmission. To complement our range of products, we offer initial concept design of your project and specialised requirements, by utilising our 3D drafting and modelling systems. Our team will manage your project in all stages through design, supply, installation, commissioning and maintenance.